Sold by auction for East Sussex Wildlife Rescue. 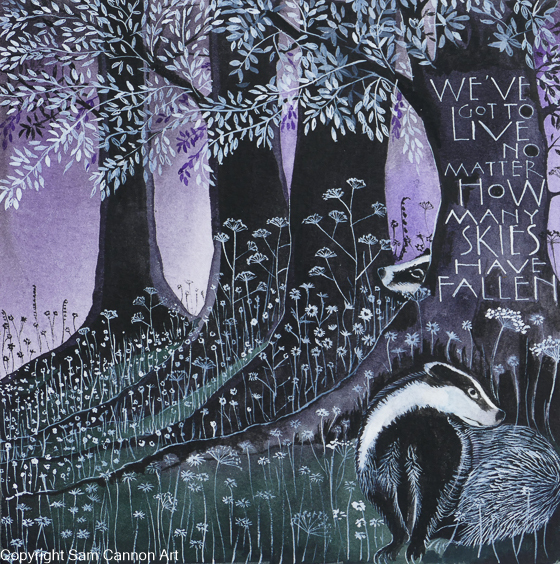 If you are a wildlife group, badger protection group or hunt sab group this image is available for you to use to raise money. You can print it onto mugs, cards, coasters or just sell prints. Get in touch and I will help guide you through the ordering process and let you have a high resolution image so you can raise much needed funds.